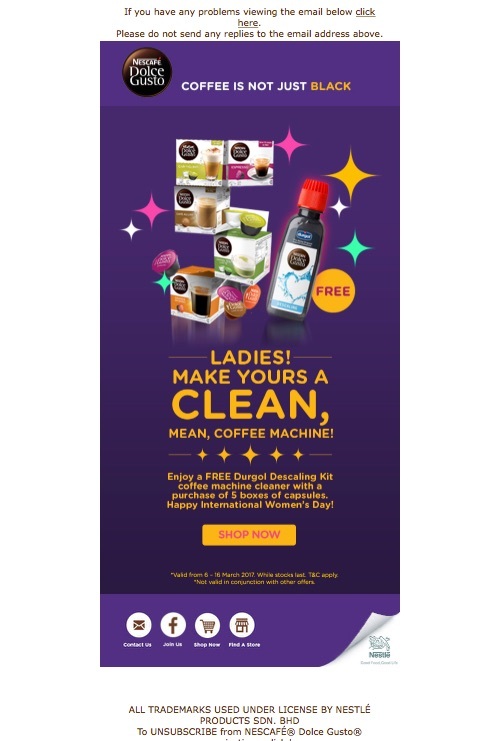 I received this Email flyer this morning and was taken aback by what I perceived to be gender stereotyping but then noticed the small print reference to International Women’s Day which was 2 days ago. Nestle will argue that it is a well intentioned suggestion and is not at all insinuating that only women will clean a coffee machine. I’m sure they mean well but it does have the potential to suggest to some people that it is an outdated, sexist and misguided organisation.